Crime Watch: What are your top five favourite crime novels? What are your top five favourite crime novels? Over the past few years there has been a growing annual campaign to get more New Zealanders trying, appreciating, celebrating and enjoying books and reading. New Zealand Book Month is a non-profit initiative promoting books and reading – and as a result, literacy – in New Zealand. One month each year we celebrate books and encourage all Kiwis to get involved. Each year there are lots of events at a local level, across the country, allowing people the opportunity to share their love of reading. In late 2009 I went to the TVNZ7 New Zealand Book Month debate in Auckland, which was quite a cool event. From a crime fiction perspective it was also great to see that Dame Ngaio Marsh was among a handful of Kiwi writers who were highlighted in large photo format as a backdrop to the debate. Too often Marsh's achievements are overlooked amongst some of our other 'classic' New Zealand authors. I was also very pleased to hear the head of NZ Book Month talk about the importance of valuing our popular or genre fiction, as well as the literary fiction, poetry and short stories we are sometimes so proud of as Kiwis. And I was flattered rather than perturbed when I realised that part of her opening speech was, uh, 'borrowed' from an article I'd written for a magazine. Unfortunately there is no New Zealand Book Month in 2010. However, the very silver lining to that dark cloud is that the structure and organisation of New Zealand Book Month has been overhauled to ensure it returns bigger and better in 2011, and earlier in the year too - in March 2011 rather than late in the year (so there will have been about a 17-18 month gap, rather than a 12 month gap - so not too bad considering the exciting future it's created). The new website has recently been launched, and you can check it out here. I will be talking more about New Zealand Book Month as it approaches, and of course doing my best to get a few crime fiction events on the agenda. For now though, I thought I would highlight something that is happening on the website; readers are voting for their favourite books of all time (NZ and international), and some well-known people are sharing their top 5 lists, along with the 'book that changed their lives'. I went to start voting the other day, and was flummoxed. Couldn't narrow it down to five favourite crime novels, let alone five books of all types. And I've had a few different books that have changed my life, in small and larger ways. But it got me thinking - for you crime fans out there, what would your Top 5 favourite crime novels be? And what was a book (crime or not) that changed your life? I thought I'd share a couple of personal anecdotes and examples, rather than nailing down my own top 5 and life-changing books list yet. 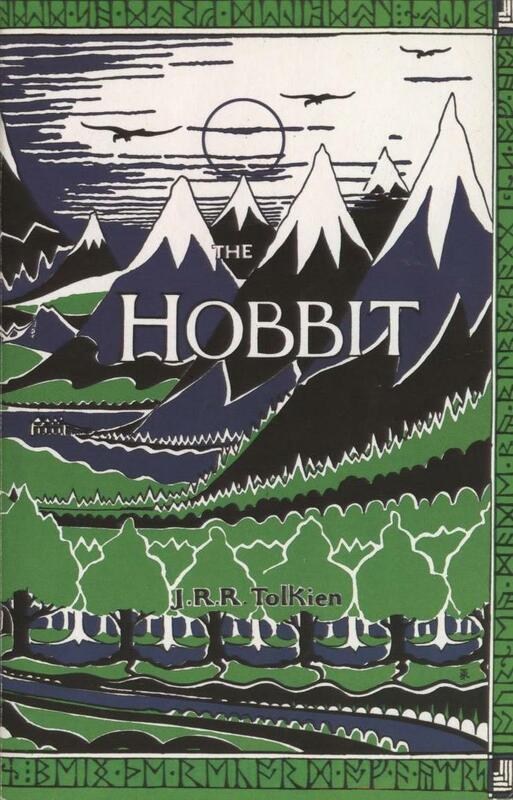 One book that changed my life was THE HOBBIT, which my mother bought for me from a mail-order book club that provided books to primary schools when I was growing up. It was the first real 'adult' book that she'd bought for me (I was about 8 I think), even though according to the school I had a 16+ year old reading age even then. She bought it in order to read it to me, thinking I wouldn't quite understand all the 'big words' yet. I was bored, honestly. I remember sitting on the couch listening to her read "In a hole in the ground there was a hobbit..." and then all this description of the hole, with nothing happening. Aarrggghhh (remember, I was only 8 or so). But then, apparently, when she left to go and do something else, I picked up the book and started reading it myself. And quickly fell in love with it, and started reading more and more young adult and adult books. So that was a bit of a life-changing moment for me. What are your favourite crime novels? What are some of the books that have changed your life? I remember having The Hobbit read to me at after-lunch "rest" time at primary school, and being so impatient at the slow pace of having to wait a day between 15 minute sections that I borrowed the book from the library and read the whole thing. I suppose I must have enjoyed it because my Dad bought me Lord of the Rings for my next birthday/xmas! 5. Shackles - Bill Pronzini - not the first of his I read but such a great book for conveying a character's emotions. These were, by-no-means, the first mysteries I read but they were ones that provided that "WOW" reaction for various reasons. 2)The Name of The Rose - Umberto Eco - I was struggling with my own post-modern Sherlock Holmes riff then this darn academic comes along and blows me right out of the water. 3) The Long Goodbye - Raymond Chandler - because it demonstrated that plot isn't everything in crime fiction - and I read it the year Robert Altman did his loopy modern take on it with Elliot Gould as Marlowe. 5) The Daughter of Time - Josephine Tey - I was hitchhiking round Italy and got homesick in some medieval walled village a couple of hours from Venice and somebody had left the novel in the youth hostel I was staying in. I sat in the shade on the battlements and read it in one sitting. Tough, this. Do they change you or confirm what's already there? 5/ Thomas Pynchon - The Crying of Lot 49 (Grail quests, secret society graffiti, a comic book version of 'The Sound of Silence' and 'Pale Fire'. One book did "change my life" in that it brought about a life long interest in history. I was about twelve already on the science side at school and my career path mapped out, when I read The Thirty Years War by C.V.Wedgewood. I have read the book about three times over the years, and that copy is now battered beyond belief, but the stories and characters continued to excite me each time I read it. The lessons from that terrible war that while the great and powerful scheme and plot, the ordinary population suffer is just as relevant today. 1] Tony Hillerman's Jim Chee and Joe Leaphorn books, that has us traveling 5,000 miles to Arizona and New Mexico. 2] Ed McBain's 87th precinct police procedurals. 3] Roseanna by Sjowall and Wahloo, reading this in the 1970s really revived my crime fiction addiction. 4] Any of Andrea Camilleri's Salvo Montalbano novels. Italian food and crime fiction what a delicious combination. 5] The Devil's Star by Jo Nesbo. I have never cared more about a detective than I did about Harry Hole in this book. I'll start my list with Enid Blyton's 'Famous Five' and 'Secret Seven' series which I recall reading avidly when I was in primary school. They gave me a love of a good mystery/crime story. Can I list authors? Top 5 favorite crime authors? Even that's too hard. Let me start...off the top of my head...and I will just stop typing at 5. One series of books that changed my life was Dorothy L. Sayers' Lord Peter Wimsey/Harriet Vane mysteries. I was in my early 'twenties when I first read "Strong Poison," and absolutely riveted by this educated young woman who feels betrayed when her lover proposes because he's previously insisted that marriage is against his principles. It made me re-think my whole attitude toward men, marriage, even love. The three succeeding books, "Have His Carcase," "Gaudy Night," and "Busman's Honeymoon," fed my enthusiasm, especially GN. I still think Sayers created terrific protagonists. The Lord Peter mysteries are still my go-to books when I need soothing, although that's not the reason we read most detective stories. Sayer's books first got me interested in crime fiction which has been an enjoyable, forty-year addiction. I entered this and I won a daily prize which was a 6 month sunscription to Sunday Star Times, yah me!! Well done Linda. What books did you vote for?